A coalition of 56 Australian non-government organisations have called upon all Australian state and federal governments to adopt measures to track and record racial profiling throughout Australia. 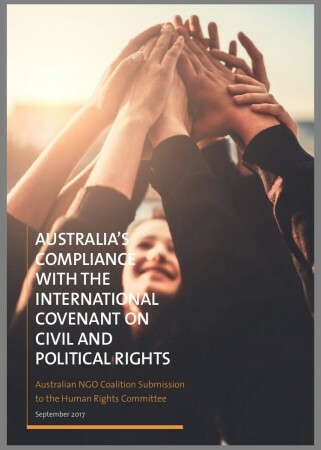 In a comprehensive report released today in Geneva, that outlines Australia’s level of compliance with our obligations under the International Covenant of Civil & Political Rights (ICCPR), advocates state Australia should ensure that state and territory governments implement data-collection schemes to monitor and publicly report on incidences of racial profiling by police. The report is intended to inform the United Nations Human Rights Committee’s sixth review of Australia during its 121st session in October/November 2017. 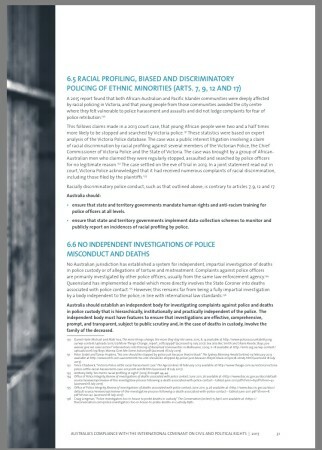 The report states that racially discriminatory police conduct is contrary to articles 7, 9, 12 and 17 of the ICCPR and also recommends that state and territory governments mandate human rights and anti-racism training for police officers at all levels. 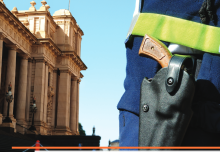 The report strengthens recent calls in Victoria and ACT for the introduction of a scheme to monitor and prevent racial profiling by recording data of the perceived ethnicity of all people stopped by police and publicly reporting upon the statistics. “Australia should ensure that state and territory governments implement data-collection schemes to monitor and publicly report on incidences of racial profiling by police,” said report contributor and CEO of Flemington and Kensington Community Legal Centre, Anthony Kelly. 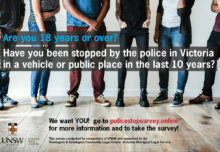 In the expert report on measures to prevent racial profiling, that is gaining traction in Victoria, a group of academic experts have already urged Victoria Police to implement a scheme to track stop data and prevent unlawful stops based on race. 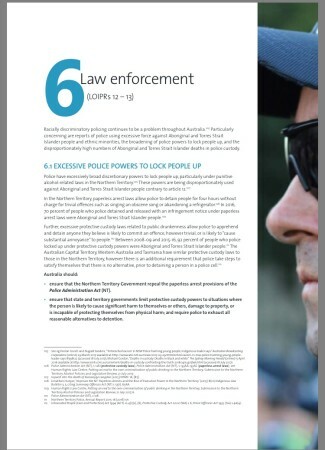 The report also calls on Australian governments to establish an independent body for investigating complaints against police and deaths in police custody that is hierarchically, institutionally and practically independent of the police. “We know that when police self-investigate, as happens in Victoria, complaints are overwhelmingly returned unsubstantiated. 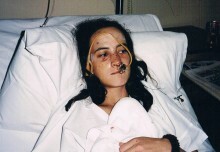 The police complaints system in Victoria requires urgent overhaul to meet international human rights standards,” said Mr Kelly. 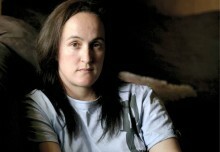 The Victorian police complaints investigation system is already the subject of a Parliamentary Inquiry into the external oversight of police corruption and misconduct in Victoria.88% of publicly available submissions call for the establishment of an independent body that would see expert investigators from outside the force examine police misconduct investigations.